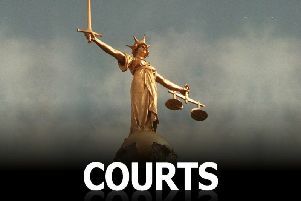 A motorist accused of causing a fatal road crash is to appear before Lincoln Crown Court early next year. Shane Chamberlain is charged with causing the death of Nathan Ardron by driving a Vauxhall Astra dangerously on the A16 at East Keal on Friday, August 17, 2017. Mr Ardron was a passenger in the car being driven by Chamberlain. Chamberlain also faces three charges of causing serious injury by dangerous driving involving a second passenger in his car and two people in another vehicle. Chamberlain, 24, of Birch Grove, Alford, was excused attendance from a hearing at the Crown Court today (Thursday, November 22) to allow him to attend a medical appointment. The court was told that he was himself seriously injured in the collision. Judge Andrew Easteal granted Chamberlain unconditional bail and the hearing was adjourned to Monday, January 14, 2019, when Chamberlain is due to attend.